A Creation of the Sea custom saltwater aquarium is completely natural by design and “eco-friendly” due to the company’s all-natural filtration system. Our “turnkey” saltwater aquarium systems are designed without the need for PVC pipes, chiller units (for water cooling), and external (remote) pumps and filters. As mentioned on the Message from the Owner web page, the 2009-2010 APPA National Pet Owners Survey showed that the cost for saltwater aquarium equipment was one of the leading drawbacks of owning a saltwater aquarium over the past decade. Fortunately, most of the conventional saltwater aquarium equipment is not needed to maintain a Creation of the Sea aquarium. Instead, the saltwater ecosystem and its inhabitants are kept alive with natural oceanic materials or substances and living filters. The majority of the saltwater aquarium equipment we use is for lighting, oxygenation, and water temperature. The items utilized to generate these effects in the aquarium are the highest-grade products in their class, and are the best in reliability, durability, price, and energy consumption. In regards to the aquarium itself, Creation of the Sea supplies all-acrylic, Fiberglass Reinforced Plastic (FRP), and concrete aquariums. There are many reasons why we use acrylic material for all of our aquarium installations, which is further explained on our Designs web page. The main benefits of using all-acrylic aquariums, which some of these benefits even holds true for FRP/concrete aquariums built with acrylic viewing panels, is that they are robust, customizable and optically clear. We provide four (4) different styles of saltwater acrylic aquariums: Freestanding, Corner, Built-in and Furniture Top. The saltwater display could be as small as a 10-gallon custom aquarium, as large as a 500-gallon custom aquarium, or as humongous as a 10,000-gallon oceanarium (only available for concrete and/or FRP aquariums). Freestanding aquariums offer the most variety in shape and size, and is most often used for a display against a wall. The Corner aquarium displays are unique in appeal and can be designed to fit into many different corner spaces in a home, office, or restaurant. If there is an interest to install an oceanarium or display a saltwater aquarium like a painting on a wall, then our Built-in aquarium would be the perfect choice. Last and certainly not least, a Creation of the Sea Furniture Top Aquarium is small enough to be setup on existing furniture or desktop. With the exception of Furniture Top and Built-in aquariums, all Creation of the Sea aquariums can be provided with high-grade cabinetry. Our cabinetry is built using Maple wood (best wood type for saltwater aquariums) with “environmentally-friendly” stain/paint color containing zero VOCs for our Traditional and Contemporary cabinetry designs. We also use Maple wood to build our Faux Rock and Stone cabinetry. Our Faux Rock and Stone cabinetry is our high-end cabinetry line. This unique line of cabinetry is built with an imitation rock salt, stone, or lava rock “environmentally-friendly” façade. The façade contains a low VOC resin without styrene; therefore, this particular line of cabinetry is environmentally safe and non-toxic as well. In addition to the aquarium, all cabinetry lines are custom designed by Creation of the Sea to accommodate one of the natural filtration methods used by the company to clean an aquarium. WE SPECIALIZE IN “THERAPEUTIC” AND “EDUCATIONAL” CUSTOM SALTWATER AQUARIUM DISPLAYS. Our staff has over 20 years’ experience designing, installing and maintaining saltwater aquariums. We install custom aquarium displays of any size in New Jersey (NJ), New York (NY), and Connecticut (CT), as well as oceanariums. We are currently providing custom saltwater aquariums and oceanariums in northern and central New Jersey (NJ), which includes Warren County, Hunterdon County, Morris County, Somerset County, Sussex County, Passaic County, Mercer County, Monmouth County, Middlesex County, Union County, Essex County, Hudson County and Bergen County. We are also providing saltwater aquariums and saltwater aquarium maintenance services in New York (NY), which includes New York City (NYC), Bronx county, Rockland county, Orange county, and Sullivan county, as well as Fairfield county of Connecticut (CT), which includes cities such as Greenwich, CT. 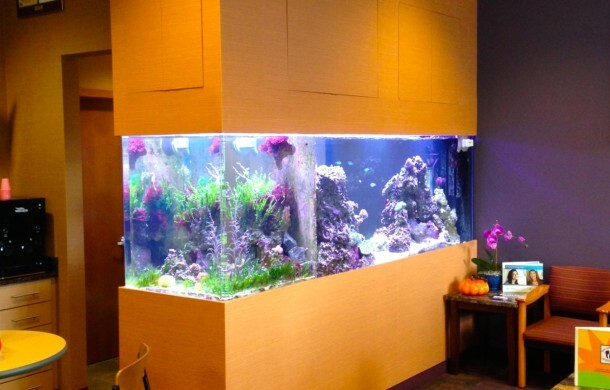 Whether you need a saltwater aquarium or oceanarium for medicinal, therapeutic, educational, exploratory, entertainment, or artistic reasons, Creation of the Sea can provide you with a beautiful, quiet and hassle-free custom saltwater aquarium or oceanarium that can be installed in any space to your satisfaction! We can also build any type of custom acrylic aquarium per a customer’s requirements/specifications and ship it to him or her anywhere in the USA, so let us know if you’d like to only purchase a custom tank from us! 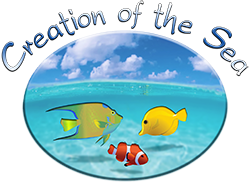 Please contact us via e-mail at info@creationofthesea.com or phone at (908) 914-7705 with any inquiries regarding saltwater aquariums or oceanariums for residential or commercial sites in New Jersey (NJ), New York (NY) or Connecticut (CT), or to schedule an appointment for a “free on-site consultation visit”. Please note that we also work with architects, interior designers, Feng Shui designers, and/or contracting firms to help develop aquarium designs that complement distinct styles and structural elements of living and working areas. We would be glad to review project scopes and/or architectural drawings pertaining to saltwater aquarium installations, and help make any planned saltwater aquarium design and installation come to fruition!